Our program is Structured, Efficient, & Cost Effective, you may fly your own aircraft or we have your choice of a Diamond DA-20 or Piper Archer II to use for your instrument training. As part of the training, you’ll have the benefit of getting mountain flying experience, and learn real-world instrument flying while flying cross country in the western US. You’ll get 7 days of individualized experience for your training investment while you gain real confidence working the IFR system with typical GA routes. 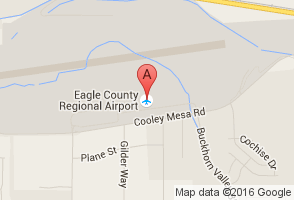 Our instructors include extremely knowledgeable Gold Seal and Master CFI’s as well as former airline captains. If you’re a non-instrument rated pilot, you have undoubtedly experienced the frustration of canceling flights due to low ceilings or poor visibility. Yet you know that just above that shallow low overcast lie clear blue skies and great flying weather! All you need is your Instrument rating. With the skills you’ll develop in instrument training, you’ll be able to control your airplane and navigate all the way to your destination without outside visual references, solely by reference to the flight instruments. The Instrument rating will open up many more opportunities for you to fly without being grounded by weather. And in the process, you’ll become a more accurate and more proficient–and thus safer–pilot, even when the weather is VFR. If you’re interested in getting your instrument in 7 days, this is the program for you. There are no tricks to this, the training is hard work, and requires your full attention and dedication to the work. When you’re finished, you will have gained solid experience IFR Experience. As part of your training wou will receive at least 30 hours of one-on-one flight instruction , you’ll fly at least 25 approaches during the program, many with SID’s STAR’s and holding patterns. You’ll be amazed at how much you will learn. When you are not in the air, you will learn techniques that will simplify otherwise complex procedures such as procedure turns, holding pattern entries and many others. 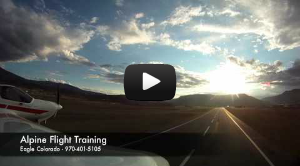 What if you want a slower pace than the 7 day instrument rating training course? A 10-day program is available at a slightly higher cost. Contact our office to schedule your training. We will secure a check ride date at the time of scheduling and can also secure lodging on your behalf. Train with a friend at a slower pace, the 12-day program allows two people to be trained at a marginal added cost – 70% more training for less. Any required endorsements are included (high performance or complex) at no additional charge. Deposit Required: 50% to secure the date, with the balance paid at the beginning of training. Payment via bank check/money order. Cancellation policy: If you cancel at any time prior to your scheduled date, we will apply your deposit to a future date only if we are able to fill your reserved spot with another student. Evidence of citizenship: US passport or birth certificate with government issued picture id. or TSA Training Authorization. Certain aircraft, because of their complexity, require additional time to become confident in real world IFR conditions.